Click on the SmartArt graphic to which you want to add a shape. Click the existing component located close to where you want to add the new shape. 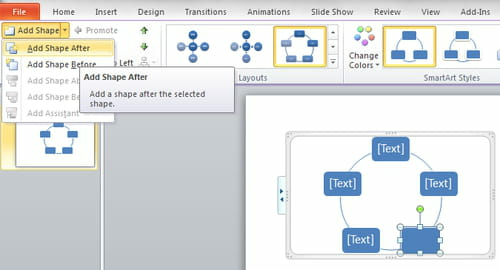 In the Create Graphic section of the Design tab in SmartArt Tools, click on the small arrow nex to "Add Shape"
To delete a shape, simply select the latter and press the delete key. Published by jak58. Latest update on October 25, 2012 at 08:16 AM by jak58. 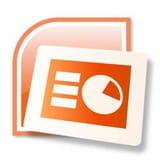 This document, titled "PowerPoint - Add or delete parts of a SmartArt graphic," is available under the Creative Commons license. Any copy, reuse, or modification of the content should be sufficiently credited to CCM (https://ccm.net/).